Eutrophication represents one of the most severe problems concerning open water sources, like reservoirs, oceans, and lakes. This phenomenon relies on plant and dense algal growth due to the enrichment of nitrogen and phosphorus nutrients. These nutrients are needed for photosynthesis. Hence, eutrophication can contribute to the development of massive areas of floating plants. Learning what is eutrophication can help us figure out what determines the phenomenon and how we should stop it. The nutrients which determine algal blooms come from sewage, fertilizers and animal waste that reach water bodies. Generally, they are washed by irrigation or rain. Eutrophication can even occur naturally, over thousands of years when the lakes grow old and they contain too many sediments. The process of eutrophication tends to speed up because of human activities via non-point source and point-source discharges of chemical nutrients in water systems. Another main contributor of phosphorus and nitrogen nutrients are concentrated animal feeding operations (CAFOs). Generally, the CAFOs discharge a large amount of nutrients which find their way into rivers, lakes, streams and eventually oceans. When they accumulate in high concentrations, they plague the water bodies triggering cyanobacterial and algal blooms. This is a technique of growing fish, shellfish, and aquatic plants directly into the water that contains dissolved nutrients. This has grown to be a very popular practice lately, contributing to eutrophication. In case that people do not properly manage aquiculture, the food particles and fish excretion can dramatically increase the levels of phosphorous and nitrogen in the water. This can trigger the abundant growth of microscopic floating plants. In numerous developing nations, people discharge sewage water directly into water bodies like lakes, rivers and water bodies. 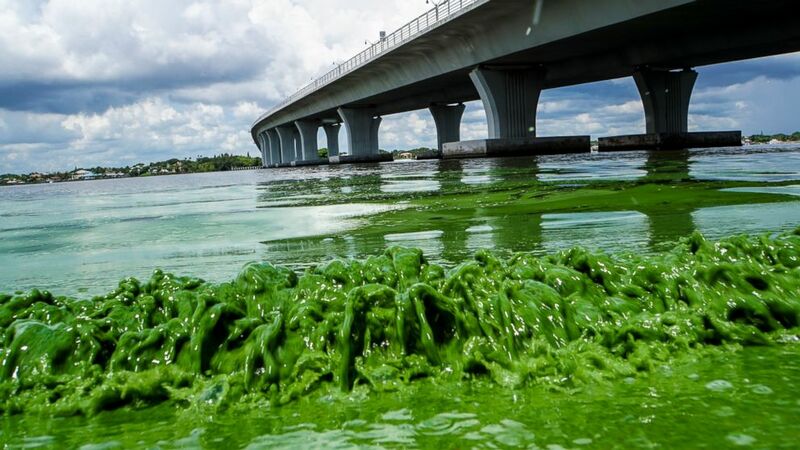 The result is that high amounts of chemical nutrients stimulate the abundant growth of algal blooms. These aquatic plants threaten the survival of aquatic life in numerous ways. Even if some countries may treat the sewage water and still discharge it afterward, it can still cause the accumulation of nutrients. Hence, at some point, triggers eutrophication. In most part, eutrophication boosts due to human activities and our dependence on using phosphate and nitrate fertilizers. People use fertilizers for agricultural practices, on golf courses, lawns, and other fields. The fertilizers they use contribute to nitrate and phosphate nutrient accumulation. Rain can wash these off, eventually reaching rivers, lakes, and oceans. The nutrients feed aquatic plants and the hungry plankton. Hence, their photosynthesis activity boosts, causing a dense growth of algal blooms. Algae blooms triggered by eutrophication harm numerous plant and animal species in water systems. Is Wastewater Treatment a Solution to Pollution? The cyanobacteria or the dinoflagellates generate red tide, releasing powerful toxins. They have high poison levels, contaminating the water even at low concentrations. The anaerobic conditions triggered by dense plant growth in the water can double the toxic compounds. Furthermore, it can also cause human and animal deaths when ingested in drinking water. Furthermore, freshwater algal blooms can jeopardize livestock health. These toxic compounds can enter the food chain, triggering negative health impacts like cancers. Biotoxins are also related to increased incidence of a paralytic, neurotoxic and diarrhoetic shellfish poisoning in humans. This can even lead to death. The shellfish can gather the poison in their mussels. Then, when people consume them, they get poisoned as well. When aquatic ecosystems experience increased nutrients, the phytoplankton and numerous other photosynthetic plants experience dense growth. This is known as algal bloom. The results are that algal blooms limit the level of dissolved oxygen which is compulsory for other plant and animal species in the water to undergo respiration. Oxygen depletion occurs when algae die and decompose. If the dissolved oxygen touches hypoxic levels, the plant and animal species living underwater can suffocate. When learning what is eutrophication, we figure out that it can endanger fishing, since it triggers the increase of photosynthetic bacteria and algae bloom. When a water body is affected by eutrophication, then fishing is no longer an option. It is difficult to set the fishing nets in that water, and the bloom of algae can also impair the mobility of boats or other fishing vessels. Algal blooms are very toxic, and when water reaches anaerobic conditions, it triggers the boost of toxic bacteria. Hence, it determines extensive deterioration of water quality. Furthermore, it also triggers a decline in the availability of clean drinking water. The abundant growth of photosynthetic bacteria and algal blooms in surface water can block water systems, limiting the availability of piped water. Hence, toxic algal blooms have destroyed numerous water supply systems around the world. Algal blooms and numerous aquatic plants can float on massive areas of the water surface. This can severely reduce the transparency of water, impairing navigation. Hence, it lessens the recreational opportunities and values of the lakes. In this way, swimming and boating become impossible. Water hyacinth, algal blooms, and Nile cabbage are able to spread over extensive areas along the shores. Sometimes, they can even reach land areas. By diminishing the amount of sewage water that gets dumped into fresh water sources, we would be able to stop algae blooms. Hence, we will reduce eutrophication. All we need to do is to cut down on the amount of phosphates and nitrogen that get discharged into water systems. If municipalities and industries can control their waste discharge, then they will reduce the nutrient content in water sources. Eutrophication appears due to the use of phosphate and nitrate fertilizers. Composting constitutes a solution to the problem. This is a practice that helps you convert organic matter into compost manure. Hence, the nutrients in the composted manure do not have a high concentration of phosphates and nitrates. By understanding what is eutrophication, we learn what the effects are and what can we do to stop this. Water pollution has a massive impact on the environment, affecting numerous species of animals and plants, and even humans. By diminishing water pollution, we diminish the boost of eutrophication.